Cryptography libraries. Now almost every Linux distribution is based on the openssl-1.0.2. This is the previous stable version of the OpenSSL library. The latest stable version (1.1.0) has various performance/scalability fixes and also support of new ciphers that may notably improve throughput, However, it’s problematic to upgrade from 1.0.2 to 1.1.0, or just to find packages for openssl-1.1.0 for existing distributions. This is due to the fact that replacing OpenSSL triggers update/upgrade of a significant number of packages. So in order to use openssl-1.1.0, most likely you will need to build it from sources. The same applies to socat – it will require some effort to build socat with openssl-1.1.0. CHACHA20 – cipher suites using ChaCha20 algoIn the case of xtrabackup, where internal encryption is based on libgcrypt, we use the AES128/AES256 ciphers from this library. The current approach of wsrep_sst_rsync.sh doesn’t allow you to use the rsync SST method with SSL. However, there is a project that tries to address the lack of SSL support for rsync method. The idea is to create a secure connection with socat and then use that connection as a tunnel to connect rsync between the joiner and donor hosts. In my testing, I used a similar approach. Also take a note that in the chart below, there are results for two variants of rsync: “rsync” (the current approach), and “rsync_improved” (the improved one). I’ve explained the difference between them in my previous post. The xtrabackup tool has a feature to encrypt data when performing a backup. That encryption is based on the libgcrypt library, and it’s possible to use AES128 or AES256 ciphers. For encryption, it’s necessary to generate a key and then provide it to xtrabackup to perform encryption on fly. There is a way to specify the number of threads that will encrypt data, along with the chunk size to tune process of encryption. modes to unpack data. The inability to process data on the fly and save the stream to disk for later processing has a notable impact on stream time from the donor to the joiner. We have a plan to fix that issue, so that encryption+compression+streaming of data with xtrabackup happens without the necessity to write stream to the disk on the receiver side. For my testing, in the case of xtrabackup with internal encryption, I didn’t use SSL encryption for socat. Transferring data with rsync is very inefficient, and the improved version is 2-2.5 times faster. Also, you may note that in the case of “no-aes-n”, the rsync_improved method has the best time for default/aes128/aes256 ciphers. The reason is that we perform both data transfers in parallel (we spawn rsync process for each file), as well as encryption/decryption (socat forks extra processes for each stream). This approach allows us to compensate for the absence of hardware acceleration by using several CPU cores. In all other cases, we only use one CPU for streaming of data and encryption/decryption. xtrabackup (with hardware optimized crc32) shows the best time in all cases, except for the default/aes128/aes256 ciphers in “no-aes-ni” mode (where rsync_imporved showed the best time). However I would like to remind you that SST with rsync is a blocking operation, and during the data transfer the donor node becomes READ-ONLY. xtrabackup, on the other hand, uses backup locks and allows any operations on donor node during SST. On the boxes without hardware acceleration (no-aes-ni mode), the chacha20 cipher allows you to perform data transfer 2-3 times faster. It’s a very good replacement for “aes” ciphers on such boxes. However, the problem with that cipher is that it is available only in openssl-1.1.0. In order to use it, you will need a custom build of OpenSSL and socat for many distros. Regarding xtrabackup with internal encryption (xtrabackup_enc): reading/encrypting and streaming data is quite fast, especially with the latest libgcrypt library(1.7.x). The problem is decryption. As I’ve explained above, right now we need to get the stream and save encrypted data to storage first, and then perform the extra step of reading/decrypting and saving the data back. That extra part consumes 2/3 of the total time. Improving the xbstream tool to perform steam decryption/decompression on the fly would allow you to get very good results. A State Snapshot Transfer (SST) operation is an important part of Percona XtraDB Cluster. It’s used to provision the joining node with all the necessary data. There are three methods of SST operation available: mysqldump, rsync, xtrabackup. The most advanced one – xtrabackup – is the default method for SST in Percona XtraDB Cluster. We decided to evaluate the current state of xtrabackup, focusing on the process of transferring data between the donor and joiner nodes tp find out if there is any room for improvements or optimizations. Taking into account that the security of the network connections used for Percona XtraDB Cluster deployment is one of the most important factors that affects SST performance, we will evaluate SST operations in two setups: without network encryption, and in a secure environment. In this post, we will take a look at the setup without network encryption. In our test, we will measure the amount of time it takes to stream all necessary data from the donor to the joiner with the help of one of SST’s methods. Before testing, I measured read/write bandwidth limits of the attached SSD drives (with the help of sysbench/fileio): they are ~530-540MB/sec. That means that the best theoretical time to transfer all of our database files (122GB) is ~230sec. tar is not really an SST method. It’s used here just to get some baseline numbers to understand how long it takes to transfer data without extra overhead. While working on the testing of the rsync SST method, I found that the current way of data streaming is quite inefficient: rsync parallelization is directory-based, not file-based. So if you have three directories, – for instance sbtest (100files/100GB), mysql (75files/10MB), performance_schema (88files/1M) – the rsync SST script will start three rsync processes, where each process will handle its own directory. As a result, instead of parallel transfer we end up with one stream that only streams the largest directory (sbtest). Replacing that approach with one that iterates over all files in datadir and queues them to rsync workers allows us to speed up the transfer of data 2-3 times.On the charts, ‘rsync’ is the current approach and ‘rsync_improved’ is the improved one. At the end of this post, you will find the command lines used for testing each SST method. Streaming of our database files with tar took a minimal amount of time, and it’s very close to the best possible time (~230sec). xtrabackup is slower (~2x), as is rsync (~3x). By default xtrabackup uses software-based crc32 functions from the libz library. Replacing this function with a hardware-optimized one allows a notable reduction in CPU usage and a speedup in data transfer. This fix will be included in the next release of xtrabackup. We ran more tests for xtrabackup with the parallel option and hardware optimized crc32, and got results that confirm our analysis. Streaming time for xtrabackup is now very close to baseline and storage limits. MyRocks is an alternative storage engine designed for flash storage. It provides great write workload performance and space efficiency. Like any other powerful engine, it has its own specific configuration scenarios that require special troubleshooting solutions. 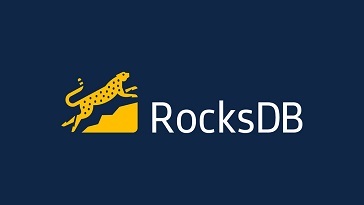 We will use well-known instruments and tools, as well as MyRocks-specific tools, and demonstrate how they work with the MyRocks storage engine. In episode #141, we talk about getting comfortable with MySQL. This module allows administrators to force users, by role, individual user, or newly created user, to change their password on their next page load or login, and/or expire their passwords after a period of time.